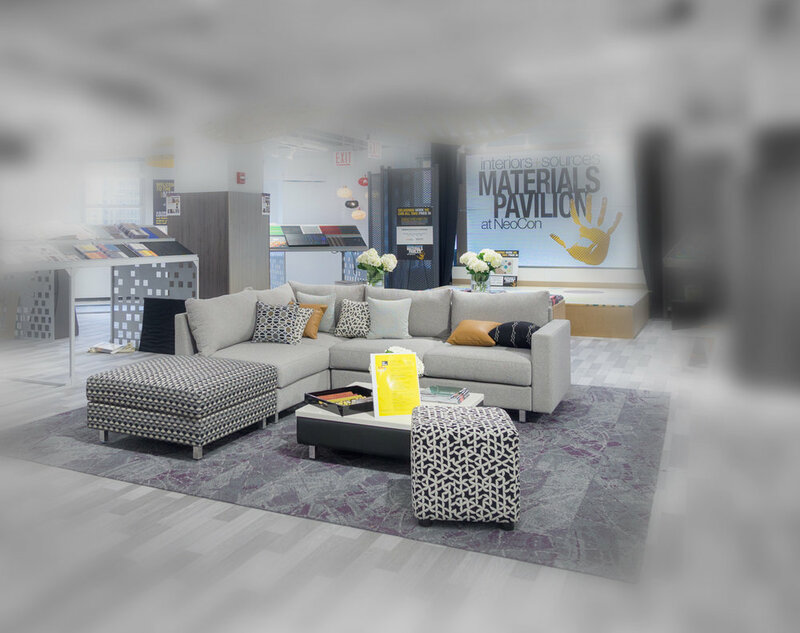 The Popular Materials Playground Marks Nine Years at NeoCon! Bigger and more beautiful than ever, the Materials Pavilion at NeoCon 2018 sported a new look, and a new partner for our curated materials section - the Illinois Institute of Art -Chicago. Our formula for creating an educational, experiential environment for research and inspiration has proven popular, and over the last nine years the Pavilion has become one of the busiest spots at NeoCon. This year was no different. A special thanks goes out to our premium sponsors, and to NeoCon's management team for helping us make this the most gorgeous Pavilion yet. 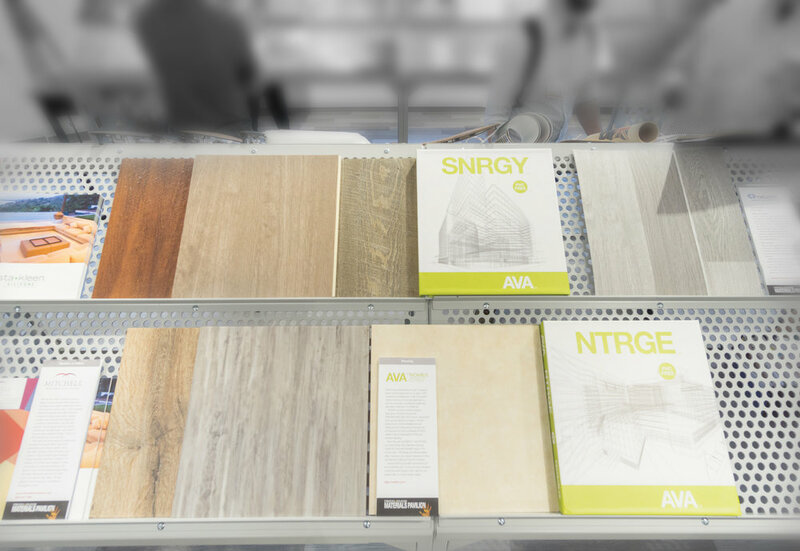 The Materials Pavilion at NeoCon is a partnership between interiors + sources magazine and Material Intelligence. Click on the Images Below for More on the Suppliers of Those Products! Hint: The featured materials and products in each image are in color and in focus!